Are You Entitled to Compensation After a Dog Bite? Dogs may be man’s best friends, but they have also been known to attack people and inflict serious injuries. If you’ve been attacked by someone else’s dog , you should contact a personal injury lawyer in Riverside that specializes in dog bite claims, after you receive medical care. Personal injury law in California may allow you to recover compensation for your medical expenses, lost wages, and related costs. To determine if you’re eligible to seek compensation, your personal injury attorney must know the exact location of the attack. 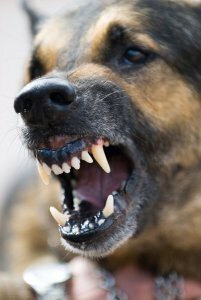 Under California dog bite laws, victims may only seek compensation if the dog attacked in a public place or while the victim was lawfully on private property. This caveat protects dog owners whose pets bite unlawful intruders. As your personal injury attorney can explain to you, California follows the strict liability concept for dog bite cases. This means that your injury lawyer can pursue compensation on your behalf regardless of whether the dog had never previously displayed a “vicious nature.” It also means that the dog’s owner cannot try to dispute the claim based on fault.